FIRST DENTAL VISIT BY AGE 1– A child should visit the dentist by their first birthday. By starting at this early age, the dentist will be able to identify any developing problems and discuss how to care for your baby’s teeth. 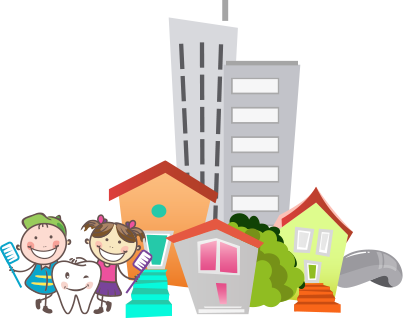 Children should continue to visit the dentist at least twice a year. CLEAN TEETH TWICE A DAY – Using a toothbrush or finger brush with a small amount of toothpaste twice daily will help to prevent tooth decay and keep the gums healthy. 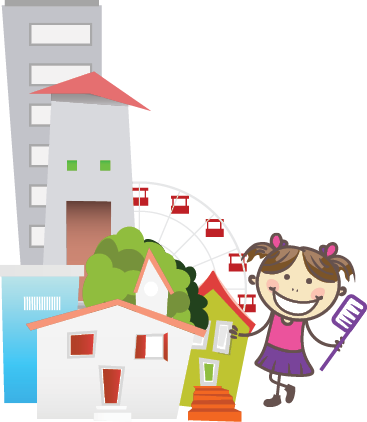 Assist school aged children with their brushing and flossing. Floss once daily as teeth begin to touch. NO BOTTLES TO BED – Any liquid besides water has the potential to cause tooth decay. Children should go to bed with clean teeth and not be given a bottle to drink while falling asleep. PACIFIER OR THUMB? – The American Academy of Pediatric Dentistry suggests using pacifiers to calm babies because pacifier habits are usually easier to stop than thumb-sucking. Both of these habits should be discouraged beyond age 3. A continued habit could lead to growth disturbances and malocclusions. Consult your pediatric dentist for suggestions on breaking the habit. TOOTH FRIENDLY SNACKS – Whether packing school lunches or preparing snacks at home, remember to avoid sugary and sticky foods. Cheese, apple slices, carrot sticks, bananas, milk, and nuts are examples of foods that are nutritional, as well as good for your smile!